Located in the Northeast corner of the state, between Atlanta, GA. and Charlotte, NC., Easley is among the beautiful Blue Ridge Mountains and is a wonderful place to live. Being one of the largest cities in Pickens County, there are numerous lakes, waterfalls, cultural sites, hiking trails and many more outdoor adventures. There are also many shopping centers and great restaurants to try. Easley is known for its excellent educational and healthcare facilities. In 2004 Easley school system was ranked number one in ACT and SAT scores. Begin your journey today in finding the home of your dreams. Call Greer Real Estate Company LLC at 864-877-2770 and let us help you find your perfect home. Southern Real Estate & Dev. MLS data provided by the MLS of Greenville, SC, Inc. IDX information is provided exclusively for consumers' personal, non-commercial use and may not be used for any purpose other than to identify prospective properties consumers may be interested in purchasing. The data relating to real estate for sale on this web site comes in part from the Multiple Listing Service of Spartanburg, Inc. The IDX information is provided exclusively for consumers’ personal, non-commercial use, and may not be used for any purpose other than to identify prospective properties consumers may be interested in purchasing. Data is deemed reliable but is not guaranteed accurate by the MLS. 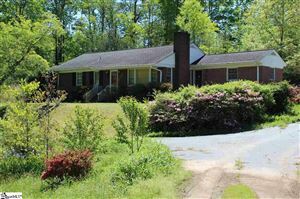 Spartanburg listings last updated Apr 22, 2019 10:25:pm. Contact me at GREER REAL ESTATE COMPANY for a free market analysis if you are thinking of selling your home or in purchasing a new home. I can help you.